Artists Against TTIP, a group of high-profile UK artists and actors who are raising awareness of what it says are the threats posed by the Transatlantic Trade and Investment Partnership (TTIP), has appointed tpr media to promote the campaign's work in the UK and overseas. 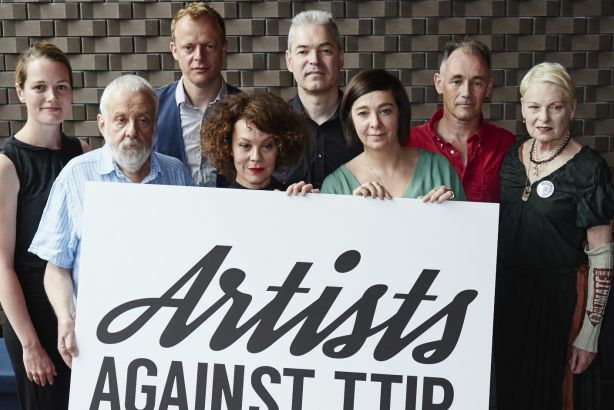 Artists Against TTIP was set up by theatre director Carrie Cracknell and her brother Jon Cracknell and is backed by actors and musicians including Mark Rylance, Sally Hawkins, Ruth Wilson, Lily Cole, Alison Goldfrapp and Vivienne Westwood. TTIP is the free trade and investment treaty currently being negotiated between the European Union and the US "largely in secret", according to a press statement from the campaign. The aim of the treaty is to reduce "barriers to trade" between the EU and US, but the campaign group says it could lead to a huge transfer of power from democratically elected governments to large corporations, having a negative impact on public health, the environment, public service provision, financial regulation, labour standards and social protections. In addition, research produced for the European Commission estimates that TTIP will lead to the loss of one million jobs. Tpr media has been hired on a six-month retainer to develop the campaign’s profile and build awareness among mainstream audiences. Sophie Toumazis, director of tpr media, said: "This is a vitally important campaign with potential to make a real difference and it’s a privilege to be involved. One of the campaign challenges is to demonstrate, in concrete terms, how something as abstract as a trade treaty can impact on our everyday lives. We need to bring this to life in a way that feels real and relevant." Tpr media specialises in broadcast, TV, film and arts PR, representing organisations including Channel 4 and UK-based production companies.